A Viejet flight from Ho Chi Minh City to the Central Highlands city of Buon Ma Thuot was involved in a major incident upon landing on Thursday night. Vietjet flight VJ356 arrived at Buon Me Thuot Airport from Ho Chi Minh City at 11:03 pm on Thursday. The budget carrier confirmed the incident to Tuoi Tre (Youth) newspaper on Friday morning, adding it has been in close coordination with related authorities to assess the incident and promptly support all affected passengers. Vietjet underlined that all 207 passengers were safe, with only some slightly affected and immediately taken to the hospital for health checks. “Upon landing at Buon Me Thuot Airport, we heard a loud noise and the cabin crew told all passengers to leave the plane through the emergency doors,” H., one of the flight VJ356's passengers, recalled. Photos captured by passengers show that the plane apparently landed with its wing, with all emergency slides inflated. On the same morning, the Civil Aviation Authority of Vietnam (CAAV) released initial information about the issue. 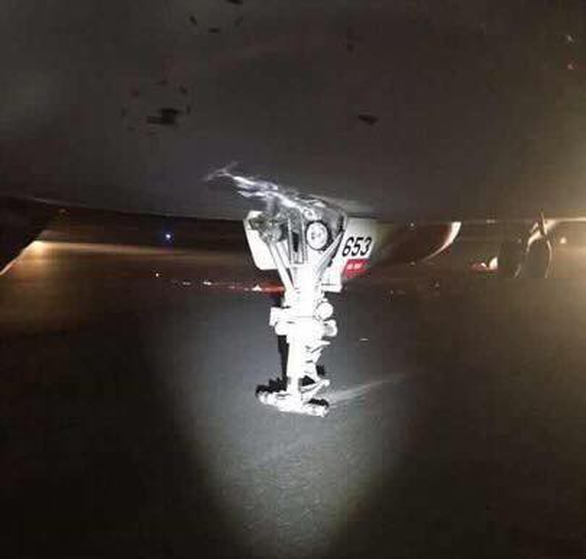 According to the report, the aircraft lost its nose wheels during landing, but it managed to come to a complete halt safely at the airport. The cabin crew was quick to conduct emergency procedures, with 207 passengers disembarking from the plane through the emergency exits. Six of the passengers who were injured during the escape were rushed to a local hospital, according to the CAAV. Vietjet told Tuoi Tre News at 9:30 am on Friday that all of the hospitalized passengers were then discharged in stable health conditions. Flight VJ356 was operated by the Airbus A321 aircraft coded VN-653, which was delivered two weeks ago, according to the carrier. The CAAV said it has formed an inspection team to look into the case.